Today we are excited to share the news that we have opened our first office outside the United States. The chosen location is Berlin, the capital of Germany, a city renowned for its creative spirit and cultural vibe, as well as home to a growing tech community and a number of innovative startups. Situated in the heart of Europe, this new location will allow us to offer even greater service and support to our community in Europe. But wait, there’s more! Today we are also announcing our official distribution partnership with iGo3D, the leading distributor of desktop 3D printing products in Germany. 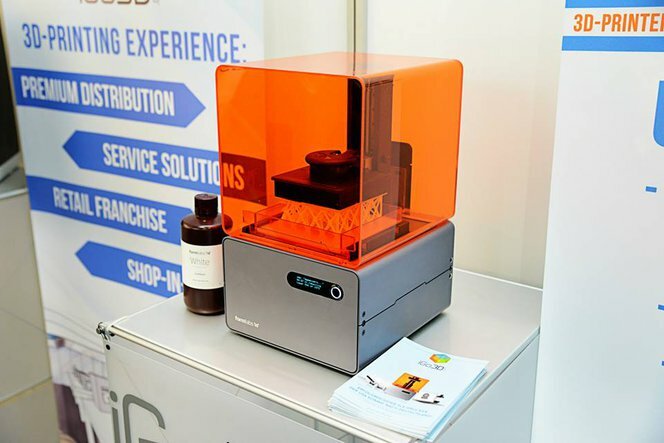 This partnership will dramatically enhance the sales and support experience for our beloved customers in Germany, as well as the ability to experience the Form 1+ 3D printer first hand in iGo3D’s retail locations in Frankfurt, Stuttgart, Oldenburg, Hamburg, and soon, Hannover. Speaking about Hannover: through Friday our European team is at CeBIT 2015, the world’s largest international expo for the IT industry. You can find us in the IT Enables - Internet of Things expo and we were nominated by the German site t3n as “one of the most interesting companies to see a CeBIT&ldquo; together with Tesla, BMW and Claas. So don’t miss out, come see our Form 1+ 3D printers in Hall 12, booth B77.